While the finance minister of what is likely to be Estonia’s next government, Martin Helme (EKRE), has vowed to lower excise duties, incoming economy minister Taavi Aas (Center) applies the brakes: there will not be tax cuts as the budget is tight enough as it is. The impression left so far is that you becoming economy minister has rather been your party’s decision than your own. Are you passionate about the job? Indeed, such decisions are not made in isolation – they are born in cooperation. One does not become mayor by oneself either. But the final decision was my own. Future finance minister Martin Helme has already promised to at the very least lower excise duties on alcohol. While it is not your field per se, to what extent will the government lower excise duties? The agreement in the coalition has been that we will have tax peace. This means no tax hikes or cuts. We simply do not have the leeway, looking at the state budget. Whether we like fiscal rules or not, they remain in effect, which is why we cannot really change anything. We have something of a sadomasochistic situation in our economy and regarding our budget: austerity is the order of the day both when the economy is growing and when it is in recession. It is a difficult situation because it is nearly impossible to catch up to the wealthier part of Europe with a fiscal policy like that. Are rules keeping you from doing something you would like to get done? The Center Party’s program included an extraordinary pensions hike [of €100], but it is clear we cannot launch it on account of fiscal rules. Is that the reason the coalition agreement is so vague and declarative? Yes, it’s the rules. We will get to work once the situation improves. When will construction of four-lane highways from the capital to Tartu, Pärnu and Narva start? Where will you find the money? On the one hand, we can make use of European structure funds. We have a number of infrastructure projects that have an environmental dimension. I’m first and foremost talking about electric transport where we can use proceeds from sale of CO2 quotas. Work has already started on some four-lane highways. The next step is to acquire more land and move forward with planning. We will know whether we can move forward with roadbuilding and how to do that once the distribution of EU structure funds becomes clear. However, we can do preparation work, and we are. Former economy ministry secretary general, CEO of Elron Merike Saks has said the company desperately needs new trains. Will she get them? We can use CO2 quota money to buy electric trains. But we also need diesel engines, and we can only buy those using our own money. It needs to be discussed as part of our fiscal strategy. If we decide we need two or three new diesel trains, we will have to pay for them in a few years’ time. During the press conference where it was announced you would become economy minister, you said you would look into state companies. What are your plans for them? If I will become minister, I have set aside the month of May for meeting with state-owned company executives. The economy ministry’s administrative area has over 20 state companies. If we add government sittings and visits to the Riigikogu, I will hardly have time for anything else. I will probably share my plans with the public after I’ve had those meetings, in June. By then, I will know the likes and dislikes of state companies, how to improve things etc. 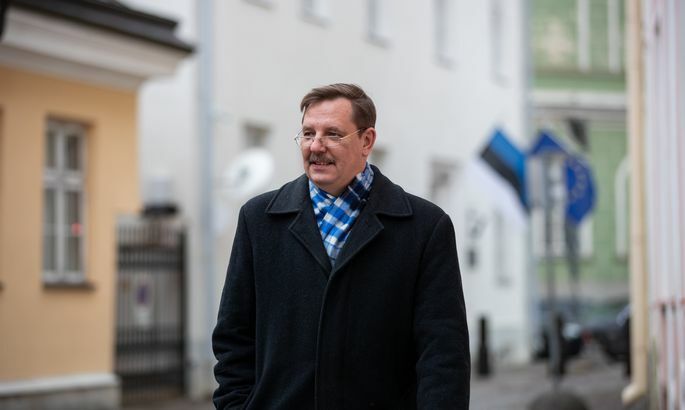 Was the listing of Port of Tallinn a success? I believe it was, including the price at the time. There are two sides to this. Why list the port in the first place? It was the result of an extensive corruption scandal (former executives of the port Ain Kaljurand and Allan Kiil stand suspected of accepting a huge bribe – ed. ), to achieve more transparent management. The decision to list the company has achieved this goal. Secondly, the port gave a lot of people in Estonia the chance to invest. What should be done about Nordica that is having some difficulties? Do we need a national airline and why? The role of Nordica is to offer as many connections from Tallinn as possible. It is fulfilling that role. We could think that aviation is living good times and other airlines already cover all the important destinations. But good times do not last forever. Once they run out, airlines will start cutting back in the periphery, and Estonia is Europe’s periphery. We may really need Nordica then. What of Rail Baltic? Is it a done deal? I’m a great proponent of Rail Baltic, and I hope the project will happen. That requires 81 percent of funding to come from the EU. We also need our partners Latvia and Lithuania to do the things we have agreed on. You’re afraid they might cut corners? We need to keep an eye on things. I do not think countries will fail to honor their obligations, but everyone must make efforts to pull it off. The coalition agreement reads that you want to introduce a state special plan to ascertain whether a bridge to Saaremaa would be feasible. Will there be a bridge? The main precondition for the bridge is if the people of the island want it. It is an interesting project and one that has taken on a life of its own. There are those who want it. And there are those who believe it is a great business project if the state pays for it as a partner. The latter is reminiscent of how ferry traffic worked when it still belonged to businessman Vjatšelsav Leedo. It was not a bad system for the owner of the ferries. The state should think twice before using the same scheme with the bridge. Let us take an ever more utopian turn: will there be a tunnel to Helsinki? You know, before I became mayor of Tallinn, it was said that a tram line to the airport is utopian. No one knew whether such a thing would ever be built. We have it today. I believe we should not write off the tunnel project. First, we need Rail Baltic. It would give the tunnel economic feasibility. The tunnel will not be built without the railroad. Tunnel enthusiast Peter Vesterbacka found a Chinese investor willing to pledge €15 billion, but Europe seems to be wary of Chinese money today. Again, let us construct Rail Baltic first and then think about the tunnel. We will give the matter more serious thought once work on the railroad begins. What is that great thing you haven’t mentioned but would definitely like to get done as minister? I want all major infrastructure projects to happen. They help us get around, improve connections. All infrastructure projects have the potential to liven up the economy. That is what I would like to tackle.